Ultimate Ears launches UE Boom 2 wireless, waterproof speaker | What Hi-Fi? Ultimate Ears is starting to get a reputation for colourful, fun-sounding, not to mention five-star Bluetooth speakers. We're already big fans of the original Boom, the MegaBoom and, more recently, the Roll, all of which impressed during their time with the What Hi-Fi? review team. Although Boom 2 looks similar from the outside, UE claims to have made a raft of changes, from subtle aesthetic tweaks to wholesale changes including a brand new speaker design. UE is also promising a completely waterproof exterior, a 15-hour battery life and a new tap control so you can pause, play and skip tracks by tapping the top of the speaker. 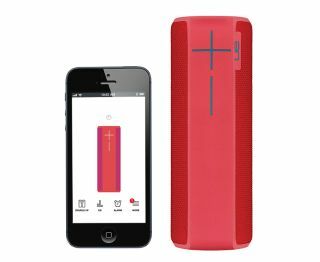 Like the original Boom, the Boom 2 can be used with its dedicated iOS and Android app (conveniently called UE Boom 2), which allows for over the air updates for the speaker and the ability to pair up speakers into a stereo wireless speaker system. The UE Boom 2 will be available in six new new colours - Cherrybomb, Teti, Phantom, GreenMachine, Tropical and BrainFreeze - and is set to cost £170 when it goes on sale this month.